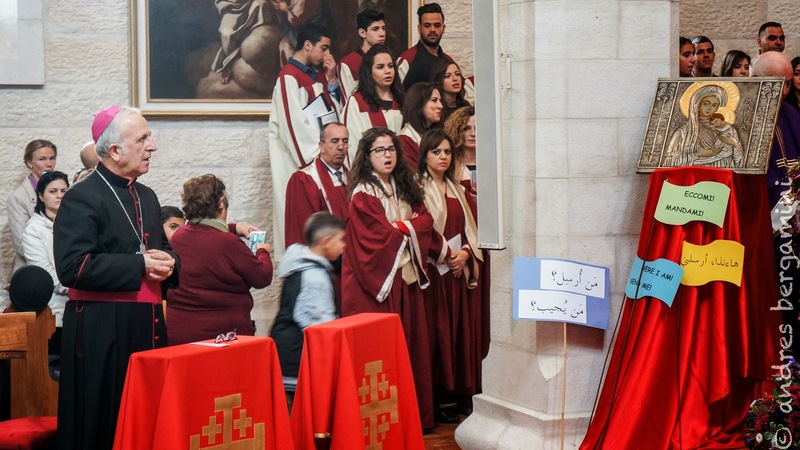 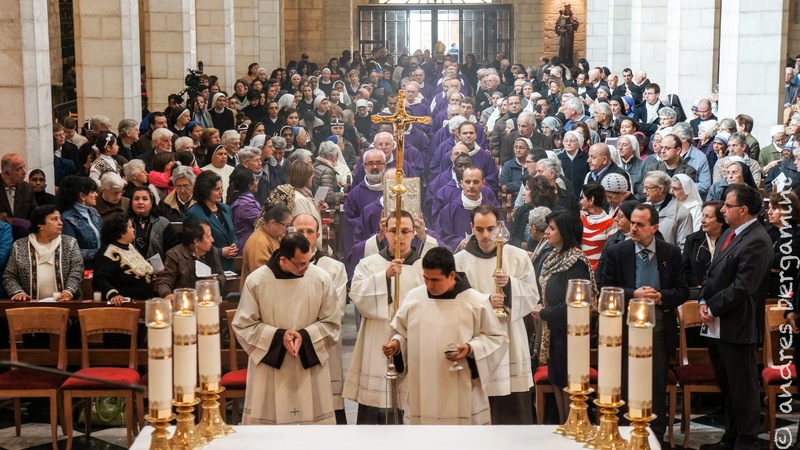 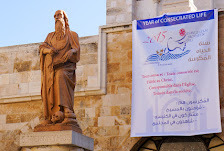 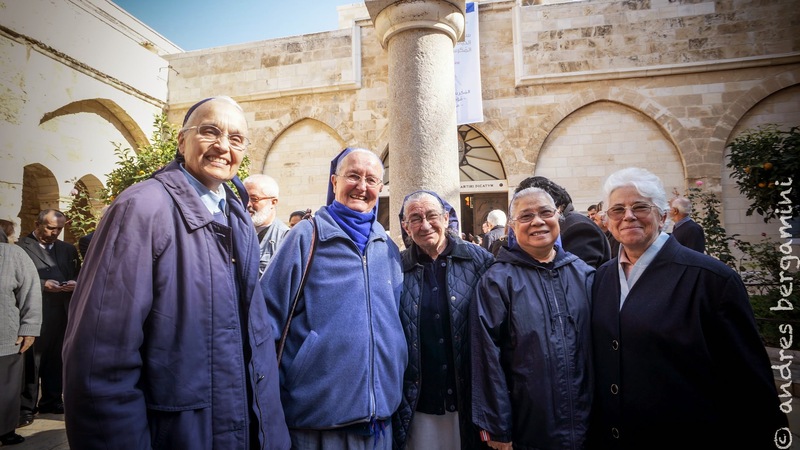 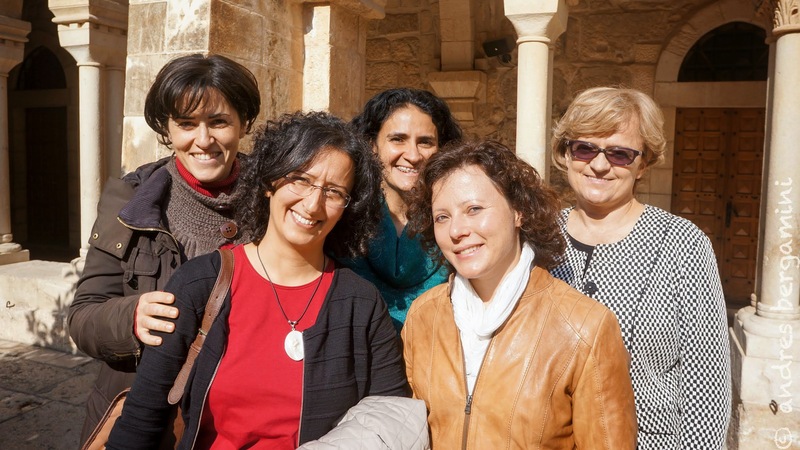 BETHLEHEM – On Sunday, November 30, 2014, the Year of Consecrated Life was inaugurated in Bethlehem – an initiative announced by Pope Francis at a meeting with members of the Union of Superiors General (USG) in Rome on November 29, 2013. 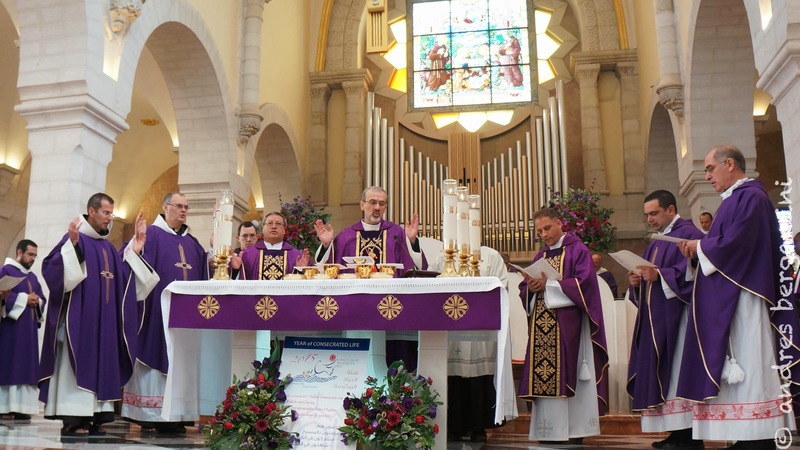 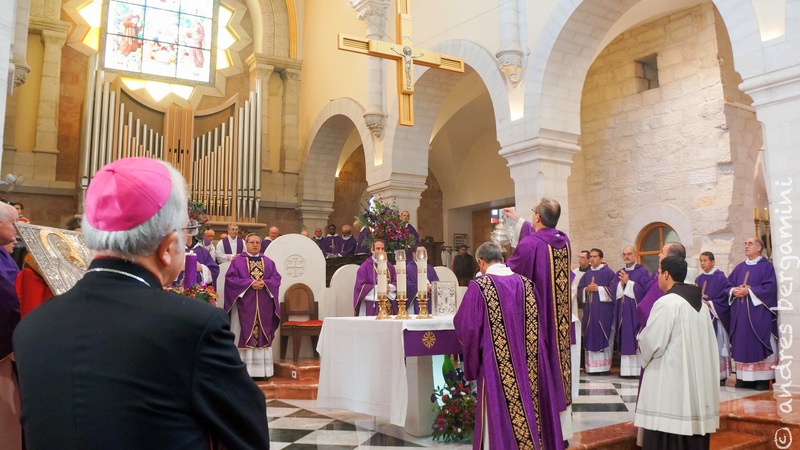 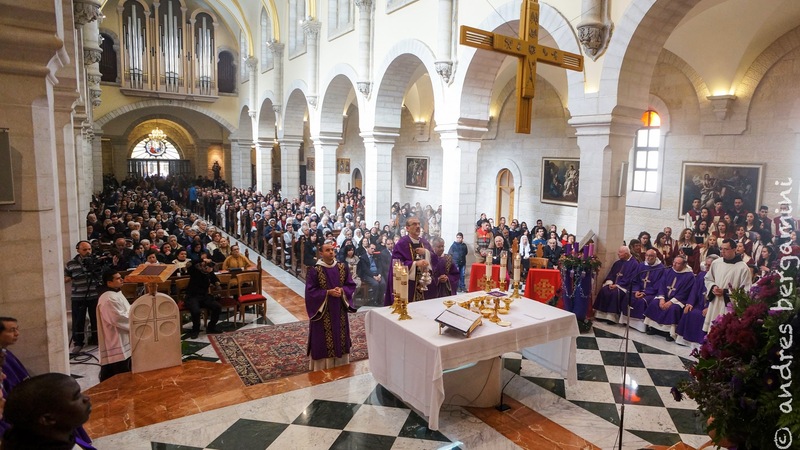 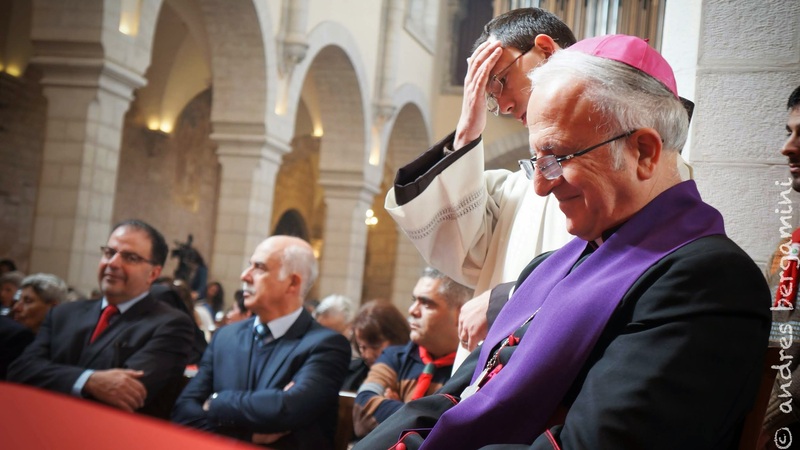 The celebration was presided over by Father Pierbattista Pizzaballa, Custos of the Holy Land, in the presence of the Patriarchal Vicar in Jerusalem, Bishop William Shomali, representing the Assembly of Catholic Ordinaries of the Holy Land. 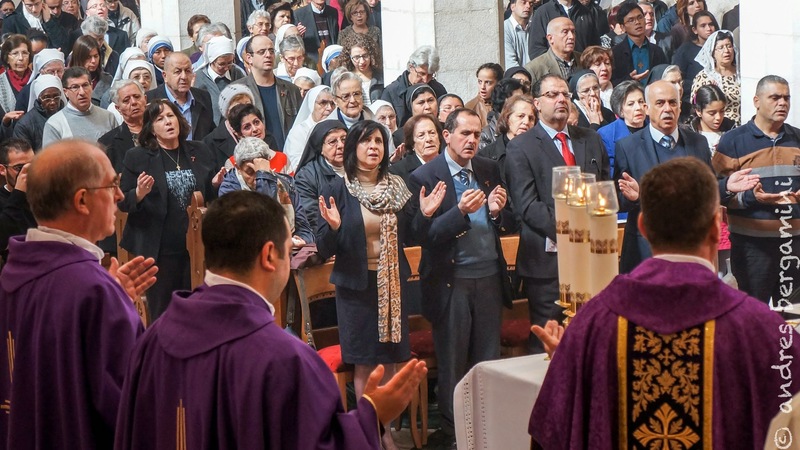 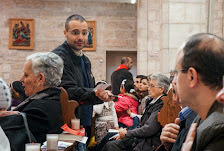 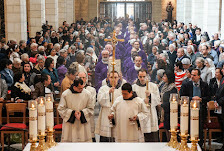 As a single family, consisting of the elders who embody wisdom, and the youth who carry the flame of life and hope, men and women religious and consecrated persons of the area of Jerusalem and Judea were present, to celebrate the opening of the Year of Consecrated Life at the invitation of the Catholic Ordinaries of the Holy Land. 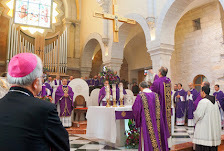 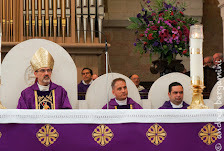 In his welcome address at the beginning of the Mass, the Custos greeted the congregation, including the parishioners of Bethlehem and the neighboring towns, reminding them of the three events celebrated on this day, the First Day of the Advent, the inauguration, in union with the Church of Rome, of the Year of Consecrated Life, and finally the day the parish and the Franciscan Convent of Bethlehem celebrate their patron saint, Saint Catherine of Alexandria, martyr of the third century. 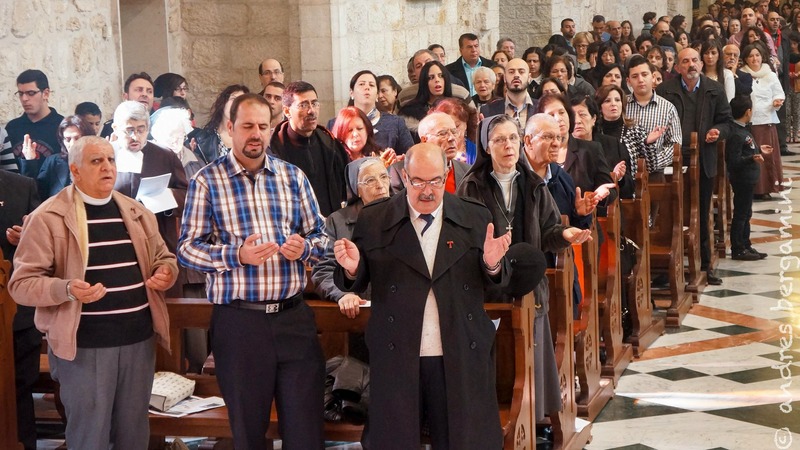 But what is a religious? 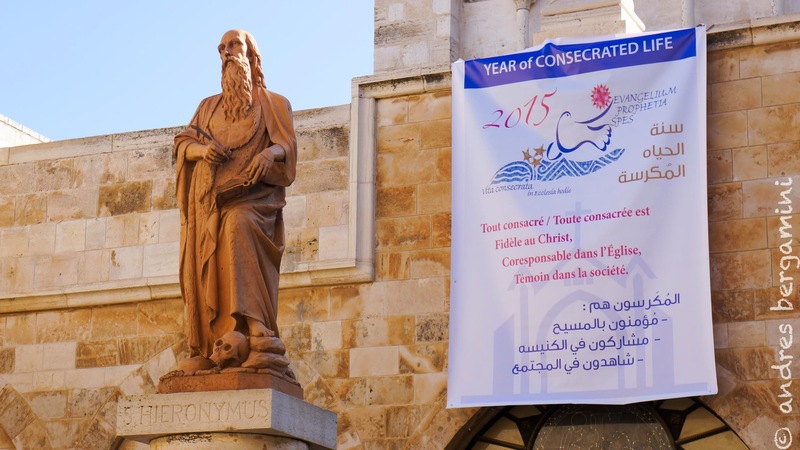 Who is a religious or a consecrated person? 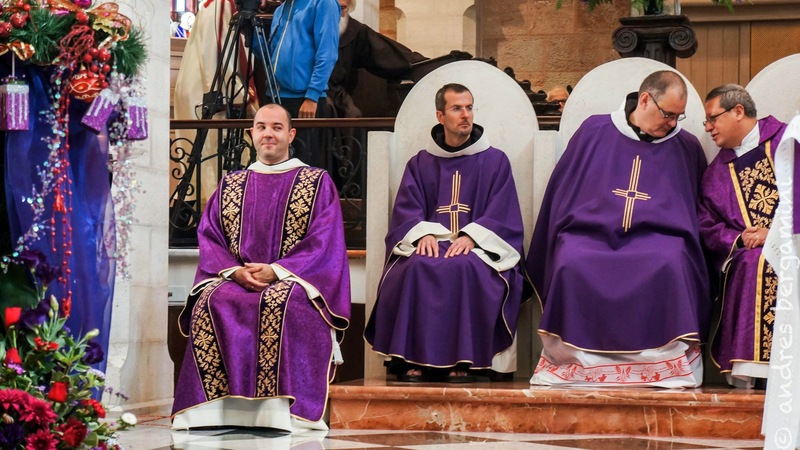 Men and women baptized, who have decided to live their baptismal vows, by which they carry Christ in the following closely and radically a life of poverty, chastity and obedience to the promised Kingdom. 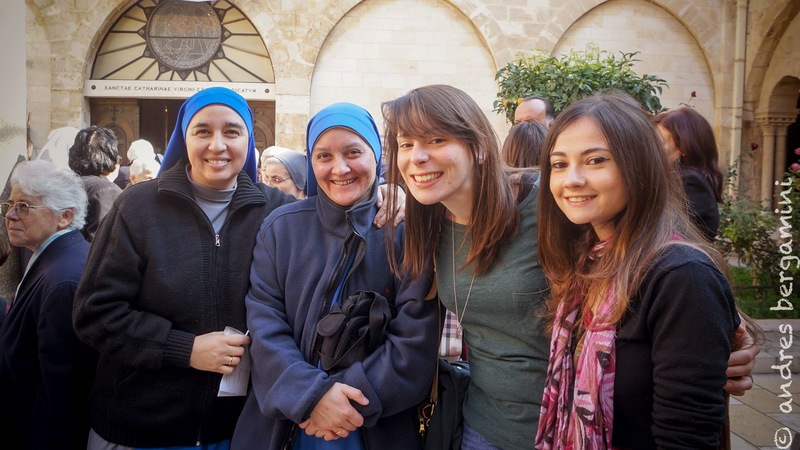 They do so in our modern world, seeking the Lord and finding happiness in ministry and not in possessions. 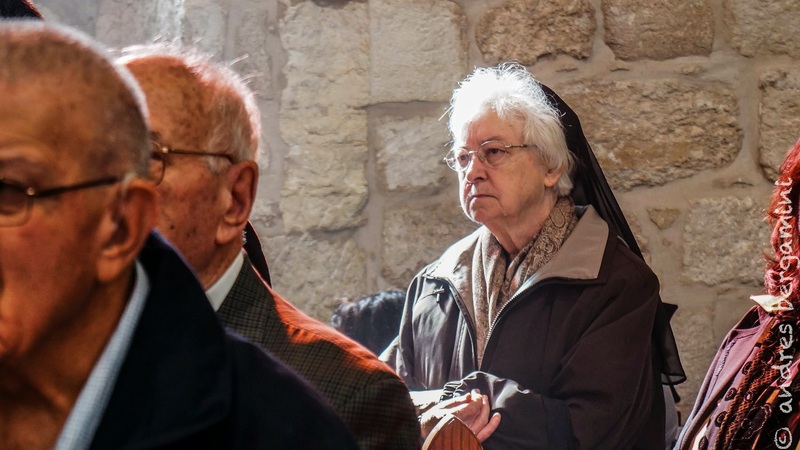 The witness of the consecrated religious is more urgent than ever. 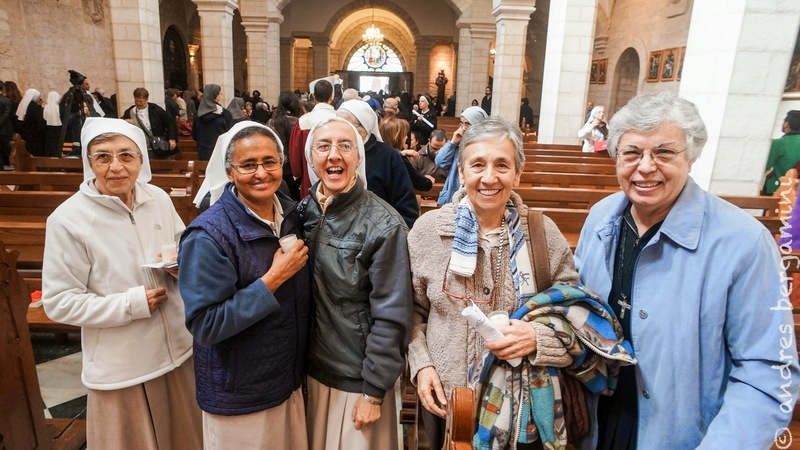 They are the ones that constantly tell the world that “God alone suffices”, as St. Teresa of Avila constantly reminded her Carmelite sisters. 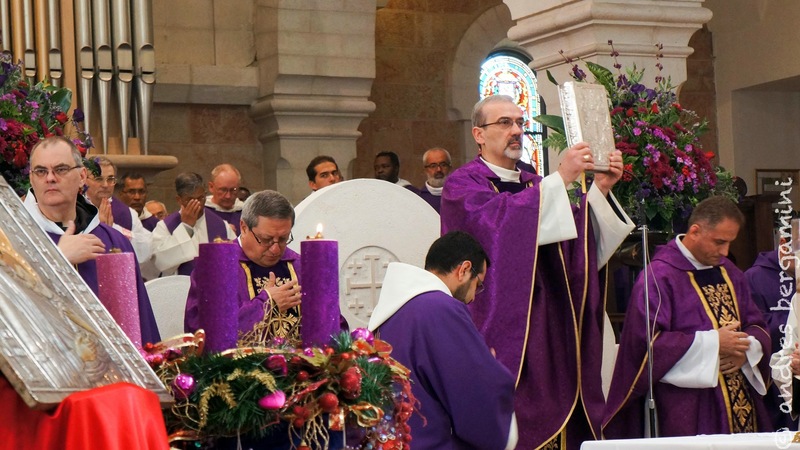 In the Gospel of the First Sunday of Advent, Christ fires a warning all: “Take heed, watch” (Mark 13: 33-37). 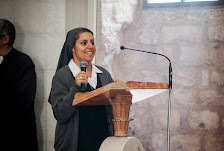 Men and women religious, seeking more freedom and availability through the vows, take seriously these words of Christ, and guarantee in the Church the living presence of prayer, fasting, and listening to and obeying the Word God, while waiting for the Kingdom of God which will appear at the second coming of Christ. 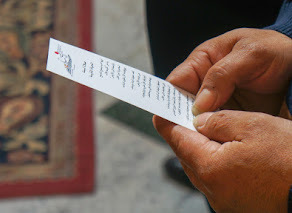 Their role is, above all, to remind their brothers and sisters in humanity, and especially their brothers and sisters who are marked by the seal of Christ, that He is the ultimate goal of every single person and, indeed, all creation (Rom 8: 19). 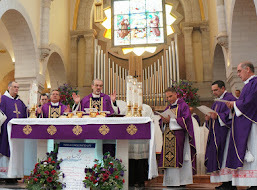 The celebration was a moment of joy for all. 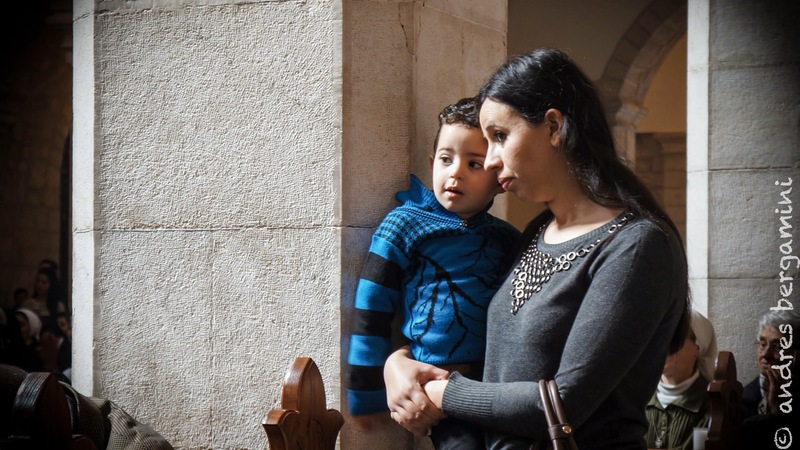 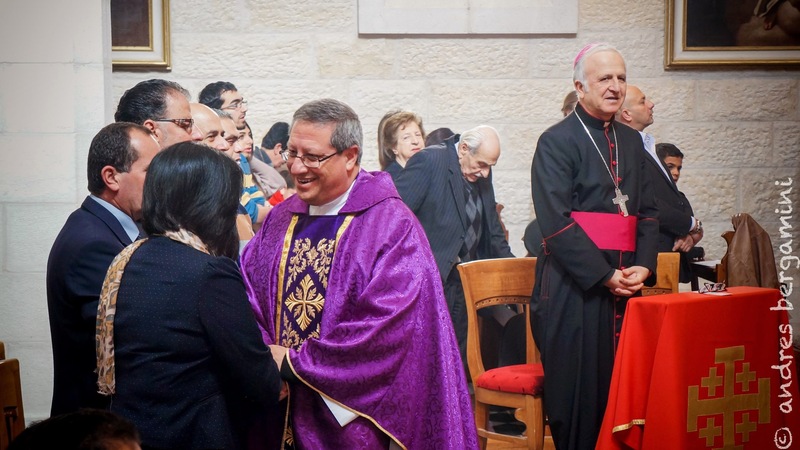 A family joy; as the small church in the Holy Land is a family. 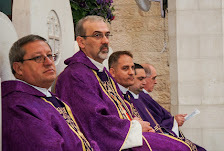 All, lay and consecrated, are happy to return from time to time to exchange news and experiences. 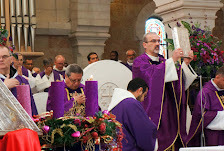 The choir of the Bethlehem parish led the chants of the Mass, at which a large number of priests concelebrated. 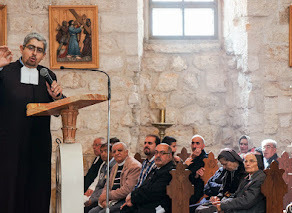 The homily was given by the parish priest, Father Nirwan, OFM. 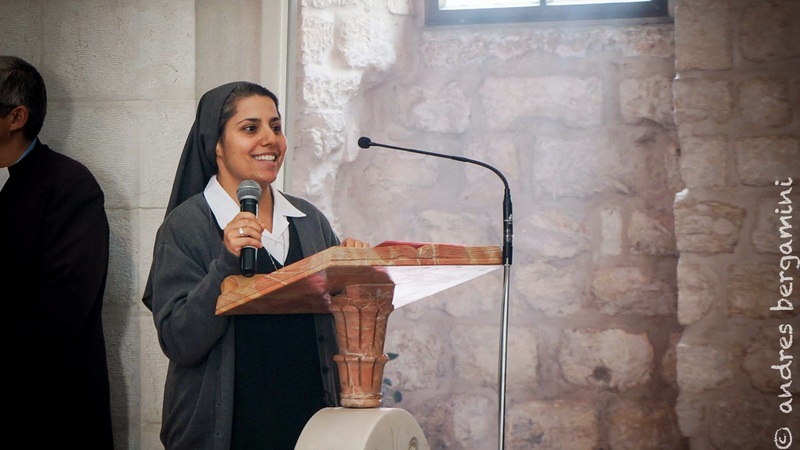 Two young Palestinian consecrated religious – Br. 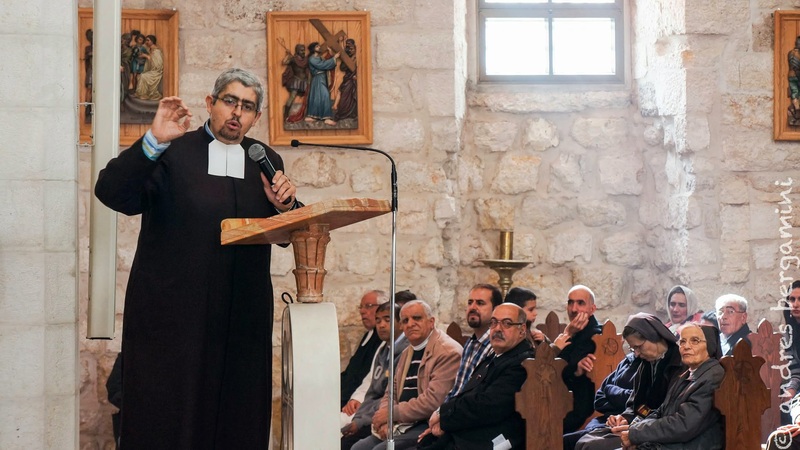 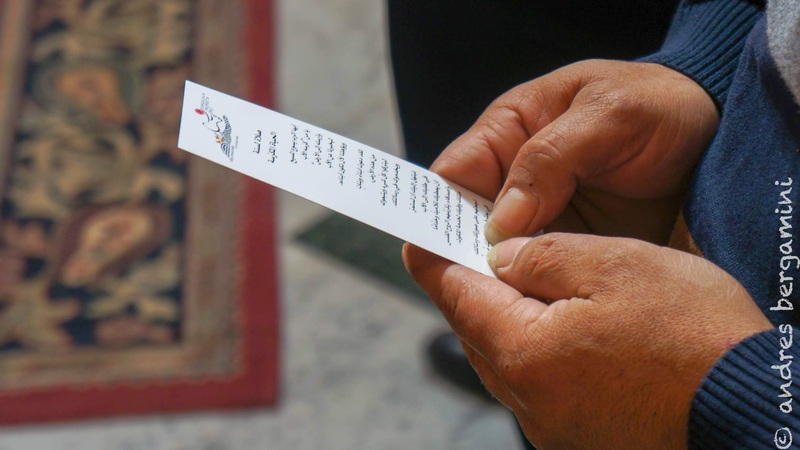 Daoud Kassabri of the Congregation of Christian Brothers, and Sr. Mouna Totah of the Congregation of Sisters of St. Joseph of the Apparition – gave their testimonies, recounting the story of their vocations. 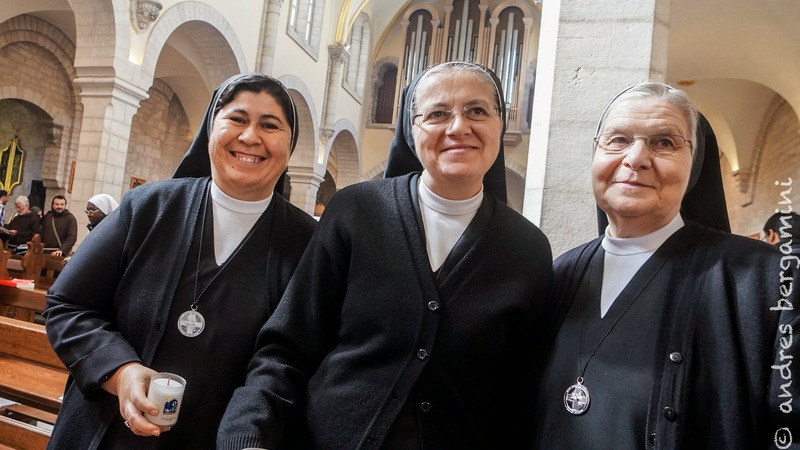 Both spoke of the “joy of consecrated persons” whom they encountered in their young lives, which, in turn, encouraged them to follow this path and this model of Christian life. 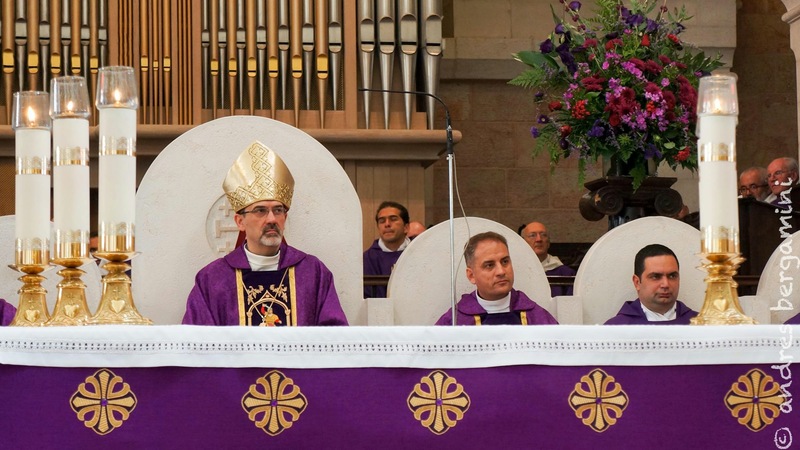 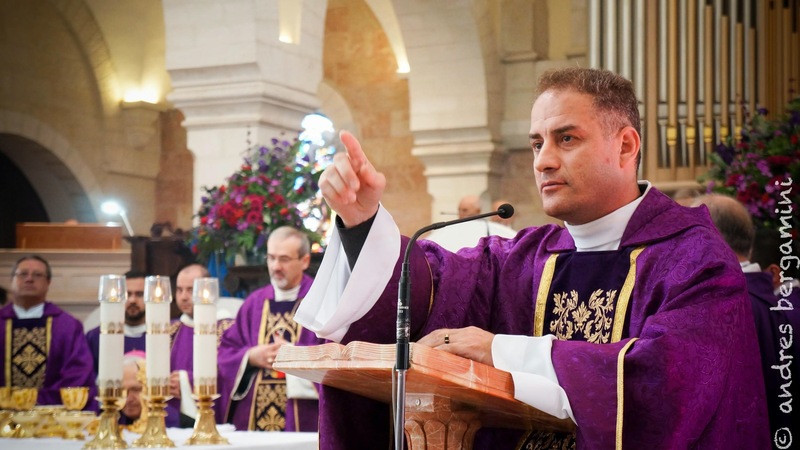 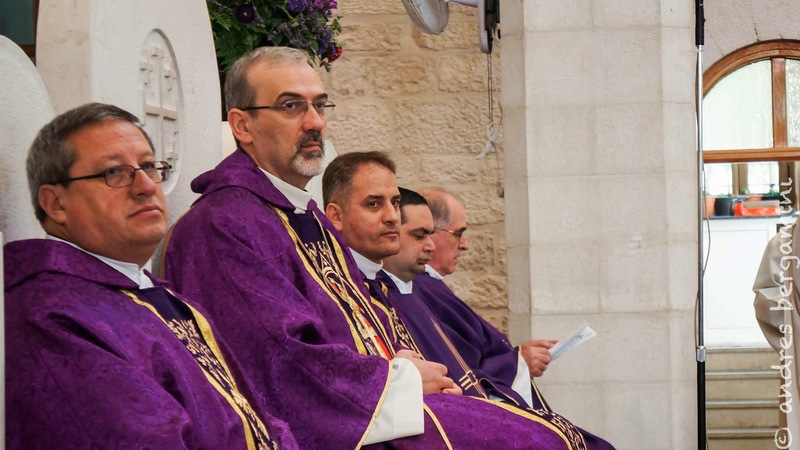 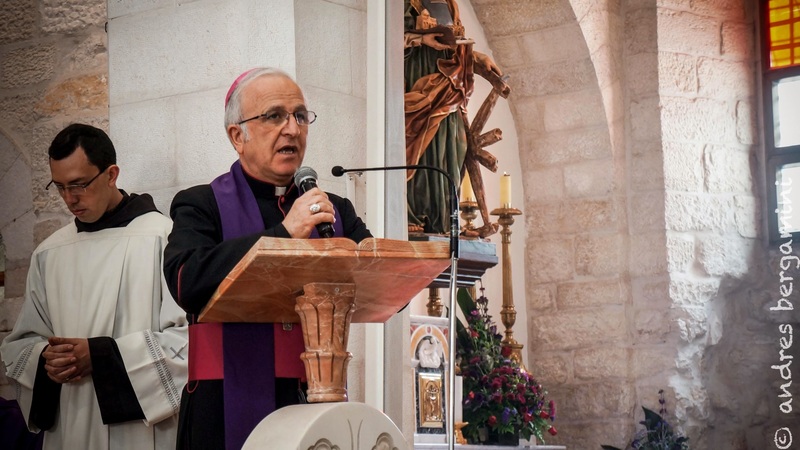 At the end of the celebration, Bishop Shomali, on behalf of the Assembly of Catholic Ordinaries of the Holy Land, thanked all the faithful, stressing that the Mother Church is not sterile, and still yields vocations. 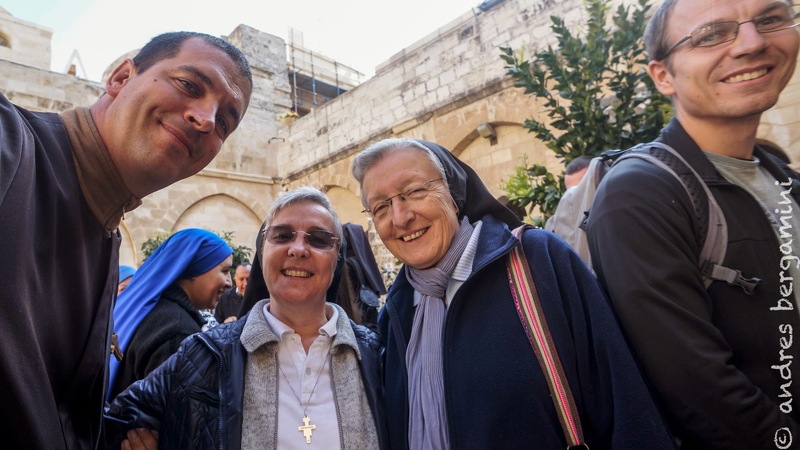 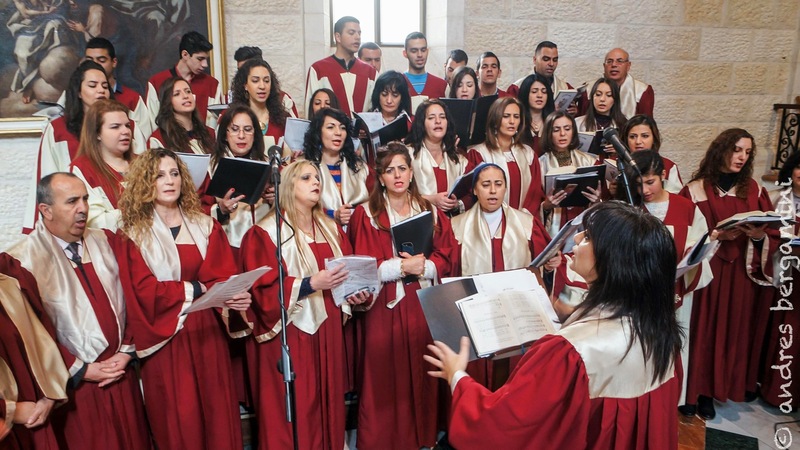 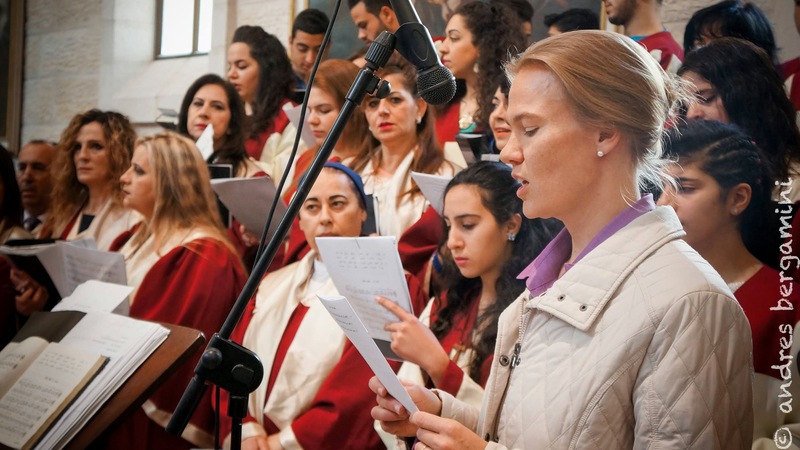 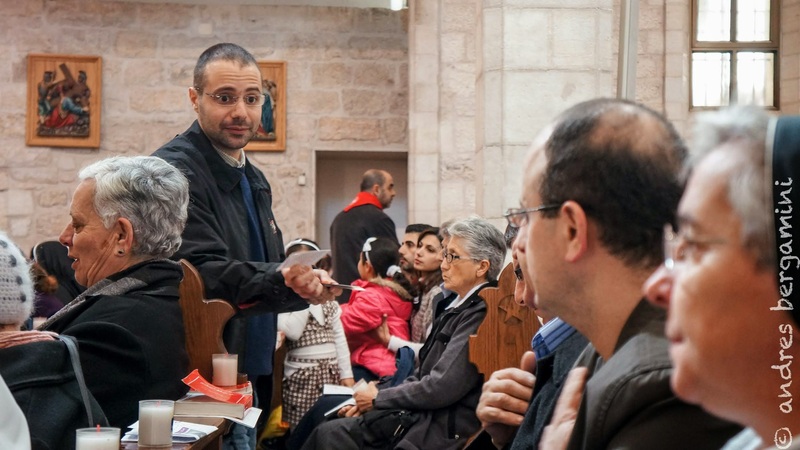 According to the bishop, these vocations are perhaps not very numerous, but the percentage is not small in comparison with the small number of Christians living in the Holy Land today. 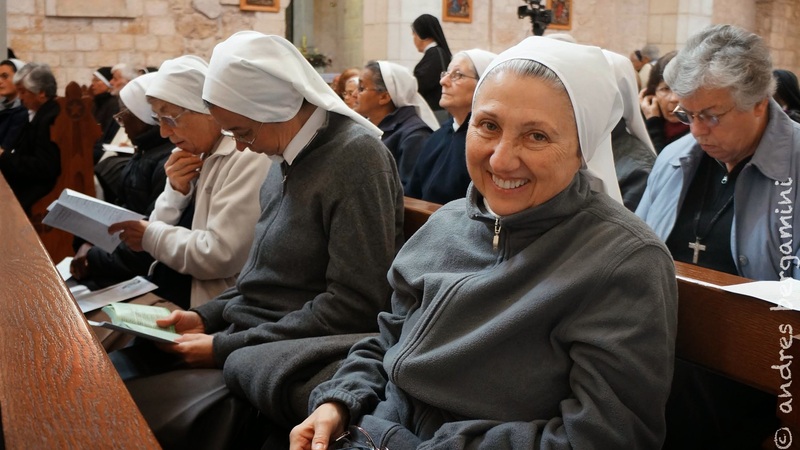 An entire year will be dedicated to Consecrated Life in the Universal Church. 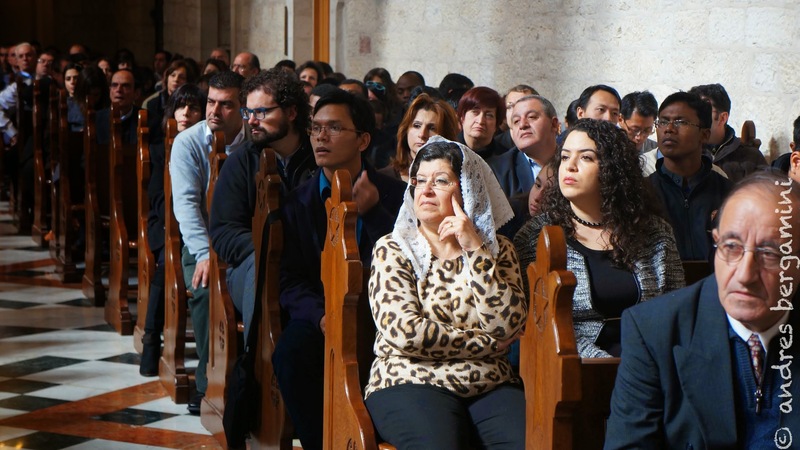 An opportunity for consecrated persons to deepen their vocation and regain their “First Love”, according to the Scriptural expression dear to Pope Francis. 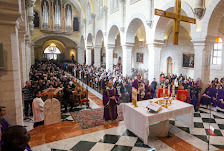 It is likewise a call to the lay faithful – consecrated to Christ by their baptism – to accompany the consecrated religious in prayer, remembering the free service of Charity that they offer the world for decades, and sometimes from centuries, through their institutions, convents and monasteries.